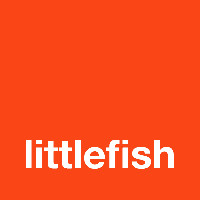 Littlefish is looking for an IT Service Desk Engineer to provide effective technical support and high levels of customer service to Littlefish clients. The role will involve handling and resolving desktop/laptop/printer/application issues and basic network/server troubleshooting with administration. You will be required to communicate effectively with the client and manage technical queries in line with Littlefish standards and customer specific SLA’s. The ideal candidate will have a minimum of two years’ experience in a similar technical role, although candidates who can demonstrate a track record of fast paced learning may be considered. This role will be based in our Nottingham office. Provide 1st and 2nd line technical support services to Littlefish clients. Resolve issues in a competent manner whilst communicating professionally with the customer and other members of the team. To prioritize, progress and resolve technical queries and service requests assigned to the individual in accordance with standard and customer specific service level agreements. To be responsible for completing specific technical projects as designated by the Service Management Team e.g. Service Transitions. Make effective use of all personal and team time during any periods of inactivity. Maintain personal qualifications and skill sets and ensure training is completed in line with the business and personal needs.